Chronic Obstructive Pulmonary Disease (COPD) is an umbrella term used to describe progressive lung diseases including chronic bronchitis, emphysema, some forms of bronchiectasis and refractory asthma. COPD is the third leading cause of death in the United States and is believed to claim the lives of more than 120,000 adults every year. While you can get COPD at any age, middle-aged and older adults are the most likely to be diagnosed with this condition. It is mainly caused by long-term exposure to lung irritants such as tobacco smoke and chemical fumes. It can also be caused by infections, genetics and low levels of AAt protein. The early symptoms of COPD which include tiring easily and shortness of breath, are quite easy to ignore, but as the disease progresses the symptoms become more severe. Some of the later symptoms include blue or gray discoloration of your fingernail beds and lips as a result of low oxygen levels in your bloodstream. You may also experience swelling in the legs and feet, and increased weight loss. Even though COPD cannot be cured, it can be managed and treated better in its earlier stages. This is why it is important to visit your doctor and get a spirometry test done as soon as you notice any related symptoms. Once a diagnosis has been made, there are a number of treatment options to help slow down the disease, limit your symptoms, increase your overall health, and prevent and treat flare-ups. 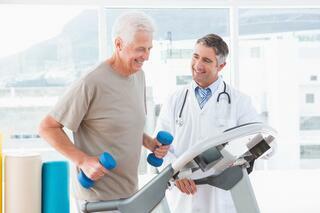 COPD treatment options include pulmonary rehabilitation, medication and other typical interventions. If standard COPD treatment fails for some of the patients, particularly for patients with later stage COPD, surgery may be the best option to help manage their condition. 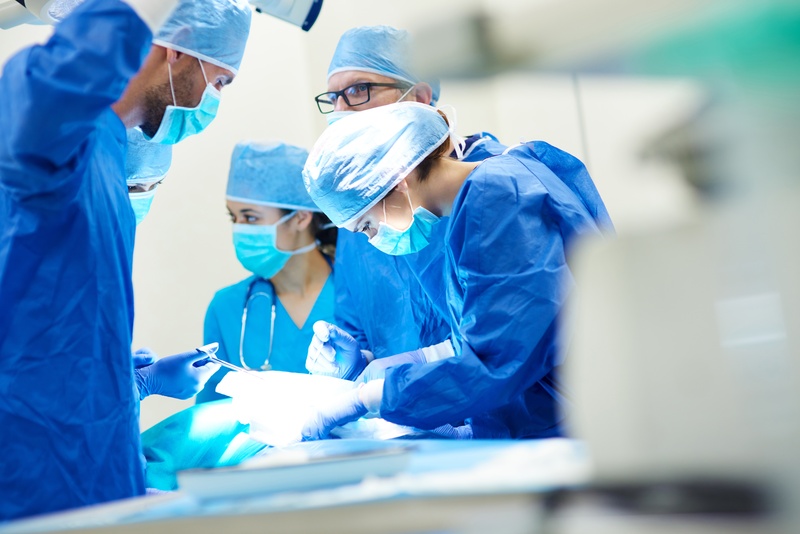 The National Heart, Lung and Blood Institute reports that surgery usually is a last resort for people who have severe symptoms that have not improved from taking medicine. The dilemma is that patients must be well enough to tolerate major surgery, but advanced COPD patients may not fit this bill. Even so, surgical intervention can be a very good option for some patients. Surgical treatments for COPD can take one of three forms; Lung Volume Reduction Surgery (LVRS), lung transplantation or bullectomy. LVRS is an operation which removes the worst affected areas of your lung, so that the healthier parts of your lung can work better. This procedure reduces the size of an over-inflated lung and allows the growth (expansion) of the remaining, often more functional lung. LVRS is used for some patients with severe emphysema, disabling dyspnea and evidence of severe air trapping in the lungs. LVRS is a significant operation that carries a lot of risk and complications which could be life-threatening to the patient. Because of this, only those that meet a certain criteria can undergo this procedure. It has been shown to help improve lung capacity, breathing ability and overall quality of life in selected patients. Its effectiveness however, depends on the extent of the diseased tissue and its location, the patient’s ability to tolerate surgery and the patient’s exercise tolerance. Group 1 – Mostly upper lobe emphysema and low exercise capacity – This patient group is more likely to live longer and function better after LVRS than after medical treatment. They are the best candidates for LVRS. Group 2 – Mostly upper lobe emphysema and high exercise capacity – This patient group is likely to function better after LVRS than after medical treatment. Group 3 - Diffuse emphysema and low exercise capacity – This patient group has a similar survival rate and function after LVRS as after medical treatment. Group 4 – Diffuse emphysema and high exercise capacity – This patient group has the worst survival rate after LVRS and does not appear to benefit from the surgery. A CT scan – To find out if your emphysema is patchy with some areas that can be removed. A test to measure your ability to exercise – Take for example the 6-minute test where if you are unable to walk for 140 meters in six minutes, it may not be safe to go ahead with the operation. Lung function tests – To measure how good your lungs are at taking oxygen and how much air is left in your lungs after a maximum breath in and out (residual volume). Lung perfusion scan/VQ scan – To show areas in your lung with low blood supply. This will help to decide when and where to operate. The results of these tests as well as any other tests that your healthcare professional may recommend will help determine whether LVRS is a suitable treatment option for you. LVRS can be very effective and dramatically improve how short of breath you feel. Results however do vary from person to person. Experts estimate that about 20% of people who have done LVRS feel like they have not benefited from the procedure, most people however do have a positive response. A lung transplant is a procedure replacing one lung or both sets of lungs with those that have been donated. 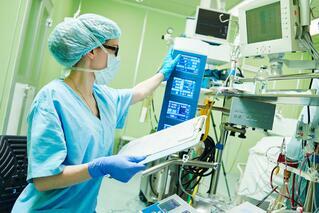 Lung transplants are usually only an option for patients with advanced COPD. FEV1 of 20% or less of the predicted. Those with associated pulmonary hypertension. Those whose chance of survival would be greater if they had a lung transplant than if they did not. Getting referred by a doctor to a regional transplant center. Meeting up with staff, social workers, doctors and psychologists, so that they can collect your medical and personal information to vet your candidacy for treatment. Disqualifying factors include current smoking, cancer and drug and alcohol abuse. Once a patient has been approved as a transplant recipient candidate, they are then added to both a regional and national registry. Finally, once a set of lungs becomes available, you are called to a transplant center to prepare for the surgery. 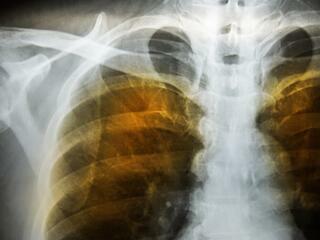 Although the waiting process can be long and arduous, getting a lung transplant is possible. Lung transplantation can improve lung function, increase one’s ability to exercise and better their quality of life. To prepare patients for the transplant, they are often asked to complete a special pulmonary rehabilitation program before the surgery. They also need a strong support network of family and friends to help them cope better with the stresses of waiting for the transplant, undergoing the surgery, and recovery after the surgery. Any kind of organ transplant runs the risk of the patient’s body rejecting the new organ. Currently, the lungs hold one of the highest rates of organ rejection among transplant recipients, meaning that a lifetime supply of immunosuppressive medication is an absolute necessity upon receiving a transplant. Unfortunately, immunosuppressive drugs can have side-effects which can cause long-term health issues such as kidney damage and diabetes. COPD patients who have had lung transplants also have a greater risk of getting serious fungal and bacterial infections. The lungs are made up of many little air sacs called alveoli. These sacs help to transfer oxygen from the lungs into your bloodstream. When alveoli are damaged, they form larger spaces called bullae which simply take up space. Bullae do not absorb oxygen and transfer it into your blood. Bullectomy is the surgical removal of one or more bullae. It is usually considered if you have bullae that are larger than one third of a lung, or if the bullae prevents expansion of the lung to the extent that lung function is compromised. This procedure is most successful on younger people and people who either have one bulla or several bullae clustered in one location on the lung. It is not advised for people who have bullae scattered throughout the lung to do a bullectomy. Once the bullae are removed, the healthy air sacs in the lungs can expand and breathing will become easier. Long-term follow-up studies have begun to show that within 3 to 5 years after surgery, lung function deteriorates to the level it was before surgery. Bullectomies are mostly effective for COPD patients who have the type of emphysema that causes bullae in the upper part of the lungs. Patients also need to undergo a number of tests to find out if bullectomy is a possible treatment option for them. Some of these tests include a CT scan, X-ray and angiography. You are also advised to go for all the other preoperative visits your doctor schedules for you. Bullectomy surgery can be very painful and will most likely need pain medication for some weeks during recovery. Possible complications of bullectomy surgery include parenchymal air leaks, or leaks within your lung which may prolong your stay in hospital. According to the University of Health Network, only about 1-10% of people who get a bullectomy have complications. It is important to consider any and all options on the path to better health, and although COPD can seem insurmountable, the first step to living a longer life is finding a treatment that can address the disease head-on. To those with end-stage COPD that do not respond well to medication, surgical intervention may be an option. Talk to your healthcare professional to help you determine if you would make a good candidate for surgical treatment of COPD.